Professor Daniel L. Rock is an expert in molecular mechanisms of viral virulence and host range as well as functional pathogen genomics. He had held a position as a research leader in exotic viral diseases at the Plum Island Animal Disease Center in New York for 15 years before he came to the University of Illinois. His research has focused on foreign animal disease, pathogen functional genomics, and rapid pathogen detection for the Agriculture Research Service of the U.S. Department of Agriculture. The project, which helped Professor Rock earn the grant from Grand Challenges Explorations, emphasizes on the development of a single one-dose vaccine to prevent sheep pox, goat pox, peste des petits ruminants and Rift valley fever for an extended period of time. This project is awarded for its innovativeness in the context of disadvantages of the conventional vaccines, which were first developed over 200 years ago because revolutionary researchers took an entirely new approach to preventing disease. To effectively apply vaccines against diseases, conventionally, farmers have to administer a single vaccine for each disease every year. This adds up to a huge cost of vaccines usage, which is beyond the affordable level that many farmers in developing countries are able to take. Professor Rock’s project is helping those livestock owners who cannot afford conventional vaccines to efficiently and effectively protect their animals’ survival, health and productivity with a single vaccine dose that costs much less. The vaccine remains elusive for many specific diseases today. Another winning project, conducted by Professor Mark S. Kuhlenschmidt, is a complement in the efforts of the treatment of Cryptosporidium Diarrheal Diseases that is often seen in AIDS patients. This is an area that conventional vaccines are either not available or too expensive. In his research, Professor Kuhlenschmidt has developed a system that allows researchers to test the therapeutic efficacy of identified receptors or receptor analogues. With this approach, he has successfully identified and purified a natural lipid component from bovine intestine that blocks Cryptosporidium infectivity in vitro. Based on this discovery, Professor Kuhlenschmidt and his research team are now involved in collaborative basic and translational research studies with the Department of Food Science and Human Nutrition at the University of Illinois to develop nutritional intervention strategies for the prevention and treatment of Cryptosporidium Diarrheal Disease for both animals and people. A discovery of Archaea, which are a large and diverse group of organisms that habitat in soils and oceans. These achievements along with its ongoing research programs make the University of Illinois a leading research institution in the cutting edge of research as well as a well-funded marketplace. In 2013, the University of Illinois, Urbana-Champaign has received $60 million grants from the NIH while the University of Illinois, Chicago has received more than $133 million from the NIH. Connecting with the University of Illinois is an excellent opportunity for lab supply companies to present their products to professors and laboratory managers within the university. 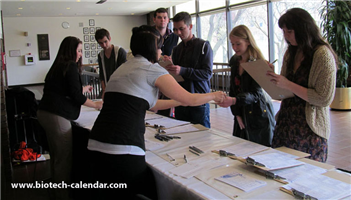 Biotechnology Calendar, Inc. provides this opportunity for laboratory supply companies at two BioResearch Product Faire™ Events happening at the Urbana-Champaign campus and the Chicago campus on April 30 and May 1 2014 respectively. 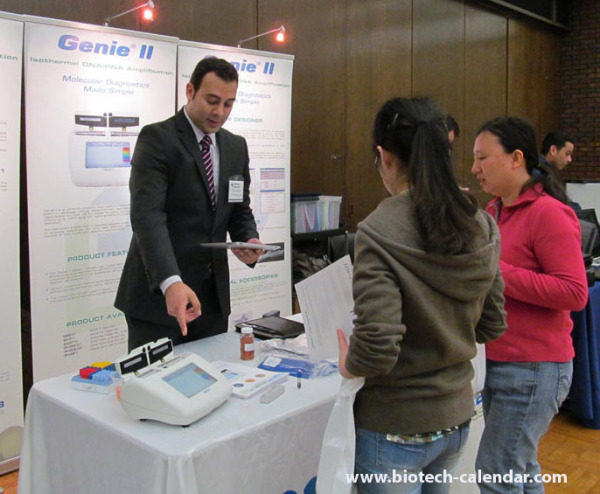 Or if you would like to know about the BioResearch Produc Faire™ Events at different institutions cross the nation, please read our National Show Schedule for 2014.